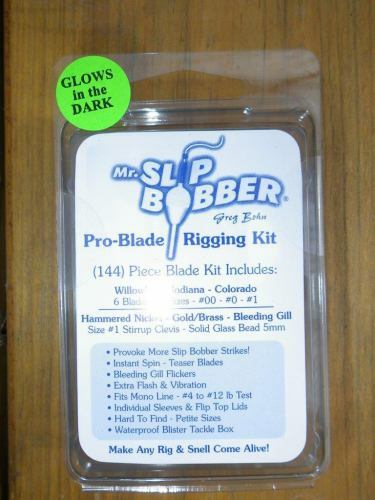 NEW* MR. SLIP BOBBER GLO-BLADE RIGGING KIT! 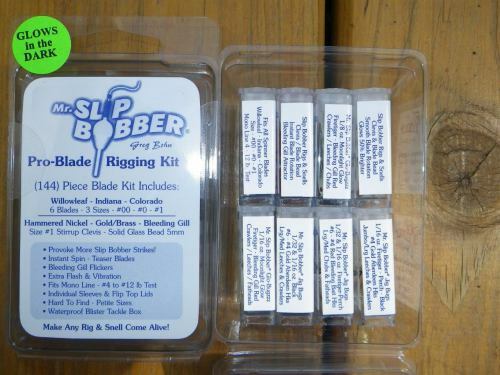 Home / Mr. Slip Bobber® Tackle / NEW* MR. SLIP BOBBER GLO-BLADE RIGGING KIT! Greg Bohn designed the Mr. Slip Bobber® Glo-Blade Rigging Kit to provoke more lighted slip bobber and live bait strikes! Omits 50% more moonlight illumination! Featuring Greg’s night-tested glow and bright metallic blade components. Here's What's Inside: (5) blade styles including Willowleaf - Indiana – Colorado and (3) Sizes #00 - #0 - #1 for enhancing homemade lighted slip bobber rigs & snells. Size #6 Glow Beads and our Instant Spin Size #1 Stirrup Clevis works every time! 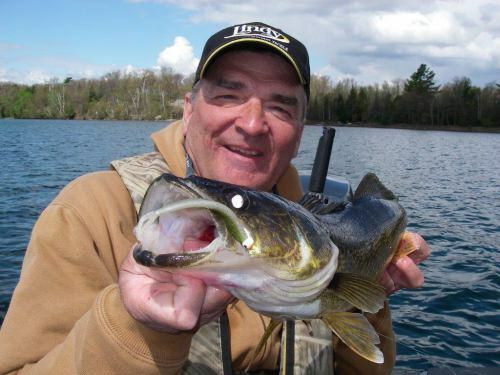 Petite Glow and metallic moonlight reflecting blade colors… drive nighttime walleyes crazy! Increases flash & thump,thump,thump vibration to minnows, crawlers & leeches. Fits mono line #4 to #12 lb test. Individual sleeve containers with “flip-top” lid - feature Blade-Rigging & Snell tips. Know where and how to apply them! Clear Blister “Waterproof” tackle box is included. Make any "3rd Shift" lighted Slip Bobber Rig & Snell Come Alive! Order yours Today! 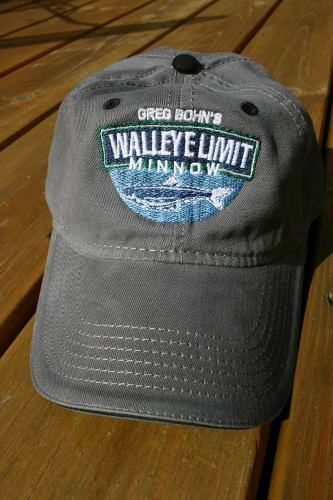 New* Walleye Limit Minnow Hat. Really nice! 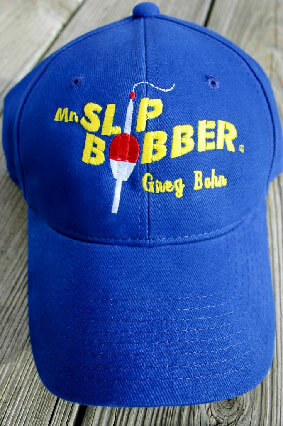 NEW* Mr. Slip Bobber Fishing Hat. Looks Sharp! 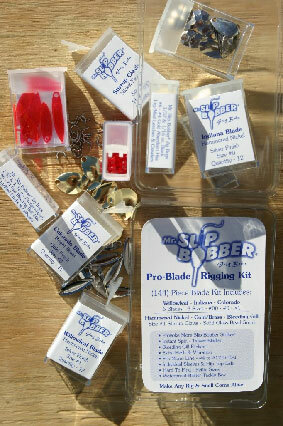 NEW* Mr. Slip Bobber Pro-Blade Rigging Kit!